Janine the Machine. All Janine Shepherd knew was athletic success, winning national titles before she turned 10. She was such a promising skiier that she trained to be a cross-country competitor at the 1988 Calgary Olympics. But one crisp cool day in 1986, cycling on the roads of the Blue Mountains in New South Wales, Australia, her life and her dreams changed in an instant. A truck smashed into her, resulting in injuries in almost every part of her body possible: broken neck and spine, broken ribs and arm, broken collarbones and feet, head injury, internal injury, massive loss of blood. But of course, TedTalks are often about inspiration, and Shepherd’s story is nothing but. Come on. Stay with me. Come on. This is our opportunity. No, that body is broken! It can no longer serve me. Come on, stay with me. We can do it together. After ten days on the razor’s edge of life and death, she chose to “return to her body”, and begin the process of recovery. As she was counselled, she would go through depression, asking herself the inevitable question, “why me?” She was told she would never return to the life she had before, let alone walk again. There was a point, at rock bottom, she realized she really did have a choice. That she could embark on the greatest creative act of her life – reinventing herself. Shepherd’s talk is spellbinding, as you hear of her deciding that since she can’t walk, she can fly. She took flying lessons. She began to will herself to walk. 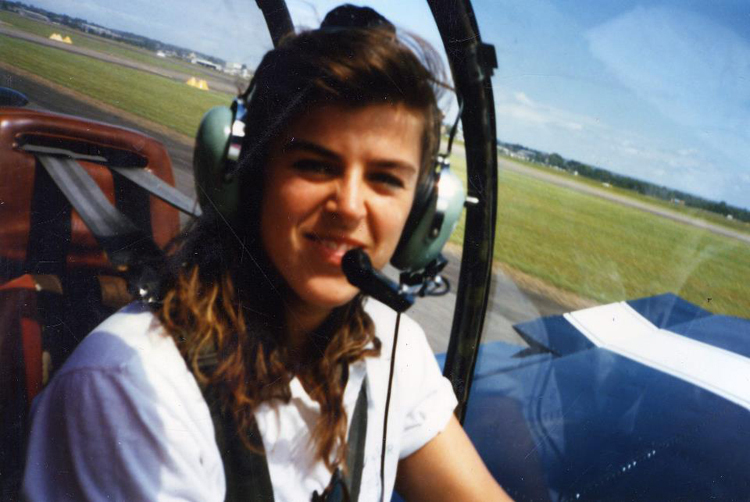 She continued to advance her flying skills, learning how to fly bigger planes, and then how to fly planes acrobatically, and then teaching others to fly. Posted in Other Olympics, Pop Culture, Winter Sports and tagged A Broken Body, cross-country, Janine Shepherd, Janine the Machine, pilot, TedTalks. Bookmark the permalink.